I have had this recipe flagged as “sounds-awesome-and-I-must-make” for at least two years. 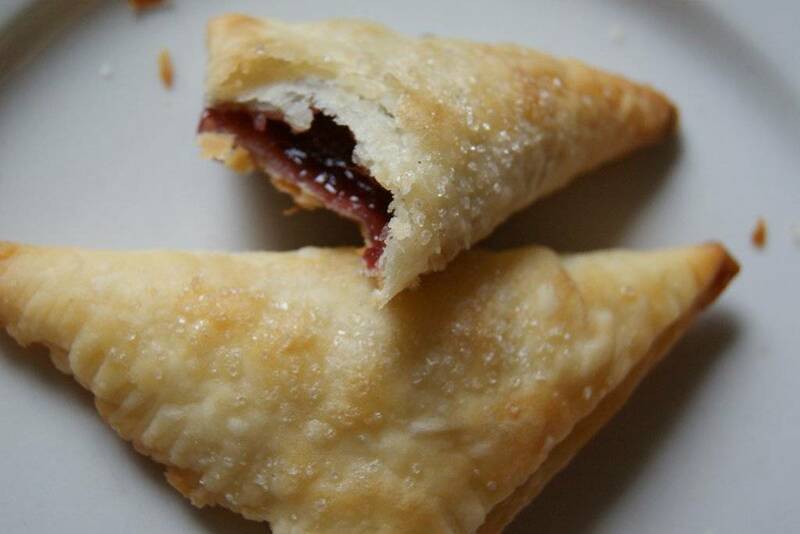 The original recipe is called Pastry Pillows, a name which sold me utterly even before I read the ingredients of cream cheese, jam, and almond paste. I was inspired to finally make these pillows of deliciousness by both my cooking class discount giveaway, and the jars of lovely Meyer lemon marmalade I have sitting on my counter. The discount giveaway means I am committed to two posts per weeks, and the Meyer lemon marmalade seemed like it would taste just about right nestled with almond paste inside a cream cheese pastry puff. Right? So, I made the Pastry Pillows. A couple of times. I fiddled around with it until it was perfect (this did not take much effort), particularly increasing the amount of jam until I felt the focus of the treat had changed, fittingly, from pastry to jam. Thus, Jam Pillows. Although they look professional, Jam Pillows are quite easy to make. The pastry itself is foolproof (no cutting of butter, nor ice water, nor chilled marble rolling pins are involved), and you can make them in different sizes, and with different fillings. In addition to the marmalade, I used Tayberry Jam (both with and without almond paste), loganberry jam, and blackberry jam. All delicious. 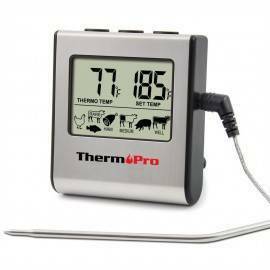 This is the second-to-last draw for the cooking class discount giveaway! Make a comment on this post or on my facebook fanpage to be entered into the draw for a half-price Moroccan cooking class on Feb 16th! Please see this post for complete giveaway rules. 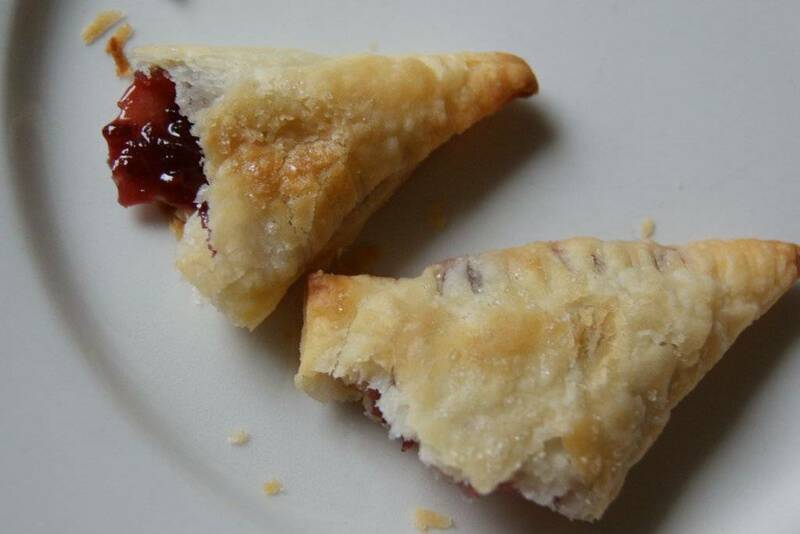 Easy-peasy cream cheese pastry folded around a mixture of jam and almond paste makes for a divine treat, loved by kids and adults alike. The pastry must be chilled for at least an hour, so plan ahead. Place the butter in the bowl of a standing mixer fitted with the paddle attachment. Beat until creamy. Add cream cheese and beat until evenly blended and fluffy. In another bowl, mix together the flour and salt. Add to bowl with cream cheese mixture and beat until a homogeneous dough is formed. Divide dough into 3 equal pieces, form each piece into a square or rectangular shape, wrap each in plastic wrap, place in the fridge and chill for at least 1 hour and up to 24 hours. 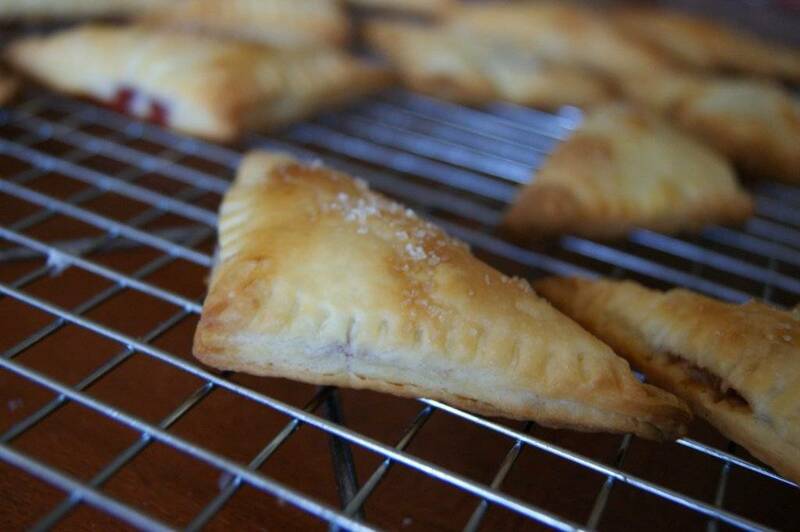 When ready to make the Jam Pillows, pull the dough squares out of the fridge. Preheat oven to 400 F. Cover two cookie sheets with parchment paper and set aside. 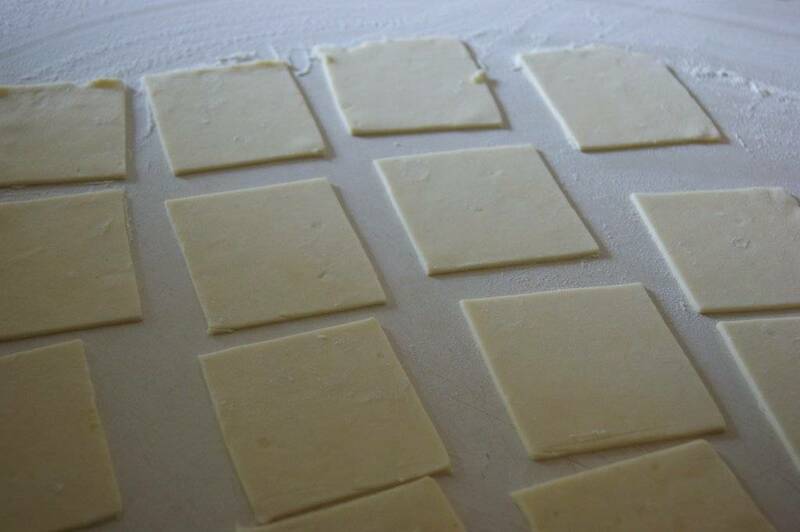 On a floured counter, roll out one of the pastry squares to a thickness of 3mm (about 1/8-inch), trying as much as possible to keep it in a square or rectangle shape. 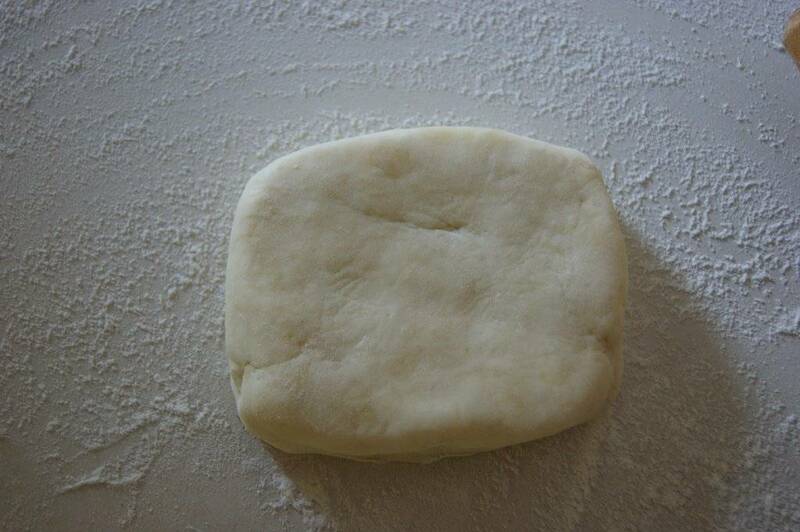 Use additional flour as necessary to prevent the dough from sticking, and flip the dough at least once while rolling. Once you have the dough rolled to the proper thickness, use a sharp knife or pastry cutter (or pizza cutter) to trim the outside edges, and then cut the pastry into squares of roughly 5 cm (2 inches) square. Do the best you can with this, but don’t sweat if they are not perfect. Use a dry pastry brush to brush off the excess flour. 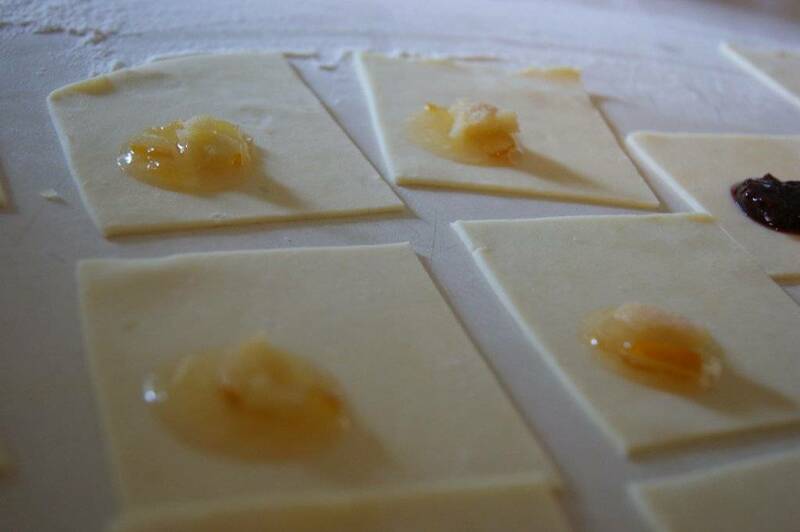 Place one teaspoon of jam (OR 1/2 teaspoon of jam AND 1/2 teaspoon of almond paste) to the centre of each square. Have a tablespoon of milk ready in a small bowl. Dip your finger in this milk and run it along two sides of each pastry square, re-dipping as necessary. 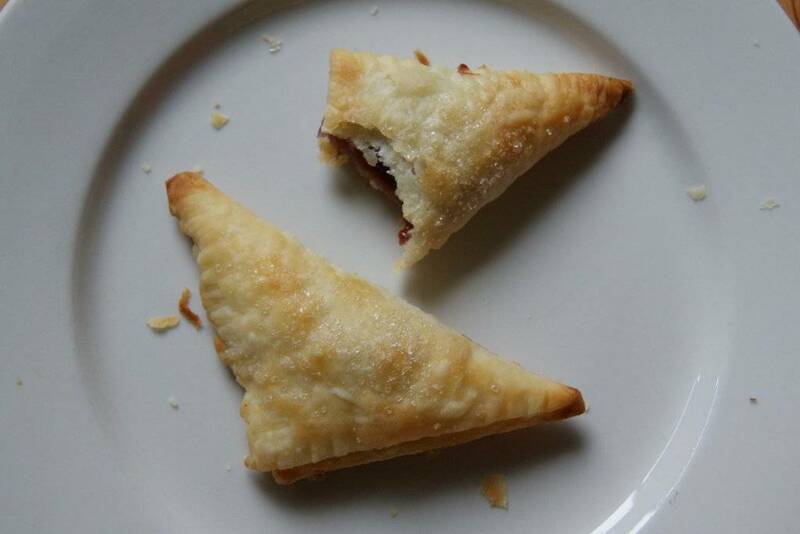 Fold the pastry over to make a triangle out of each square. 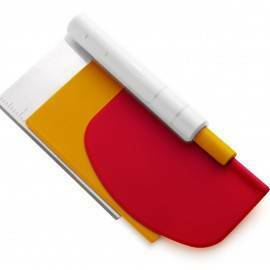 Press around the edges of each pastry triangle with the tines of a fork to seal. 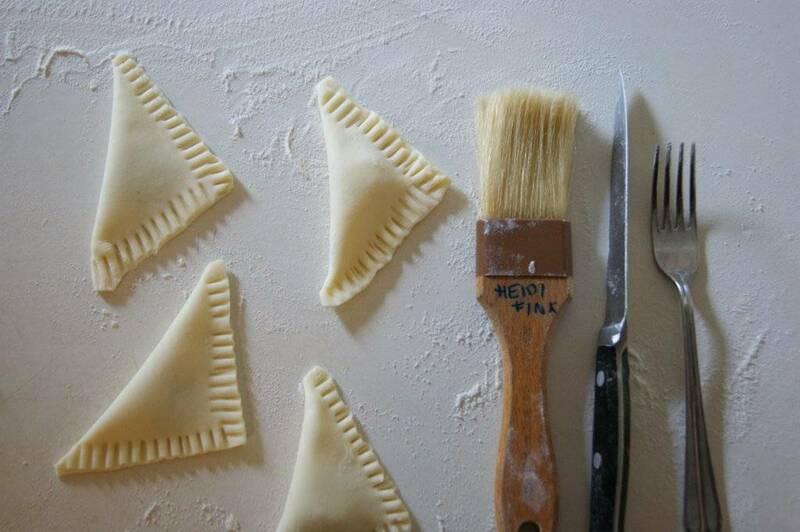 Use your DRY pastry brush to brush off excess flour off the top of the pastry pillows. Now use a different pastry brush (or your fingers) to lightly brush the tops with milk (or egg). Sprinkle the tops with sugar. 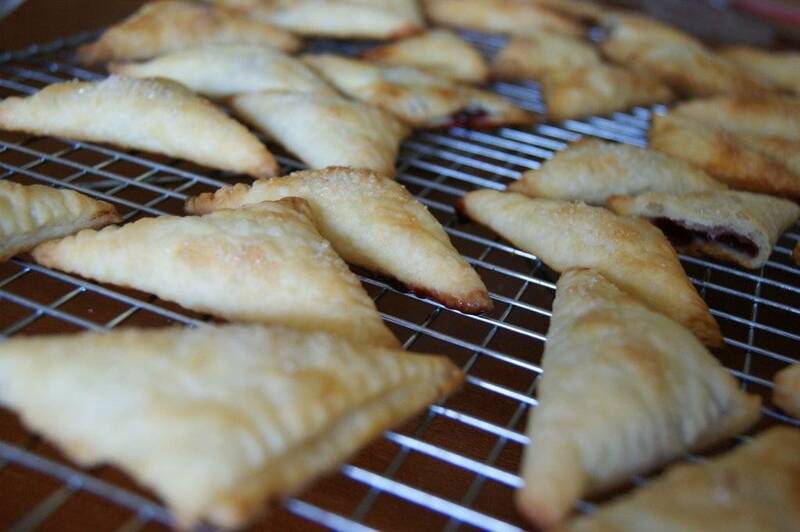 Transfer pastries to one of the prepared cookie sheets and place in the bottom third of the preheated oven. Bake 15 minutes, rotating pan halfway through baking. Immediately transfer pastries to cooling rack. Repeat with remaining chilled pastry, jam, and almond paste. Can hardly wait to try these, thanks for sharing! These look fantastic and can hardly wait to try them. Looks delicious, Heidi. Do you know if this pastry would work with gluten free flour? This just isn’t fair first thing in the morning…. baking later now. Thanks Heidi! Wow, how wonderful! I’ve made the pastry, now comes the fun part. I’m missing my son Joe. He’s the artist in the family and has better fine motor skills than I do. (He’s away at Carleton in Ottawa). 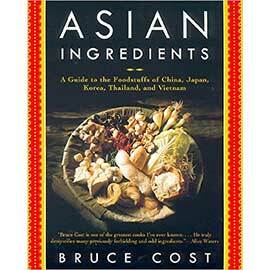 Whenever I have Spring Rolls to roll, Wonton to fold, cookies to decorate, he’s my guy. I’m looking at Heidi’s wonderful pictures of these for inspiration. Thanks. Heidi: Love your recipes…..I have a meyer lemon tree in my greenhouse loaded with lovely lemons..enough to make some marmalade. The last couple of years i have figured out what it needs to be productive and happy.Tthose pillows look easy and enticing, i hope to try your recipe. I know Mel and Pepi and Silas would gobble them up. no Meyer lemons in my local grocery store (will try again tomorrow when they get their produce shipment in) but I have quite a bit of huckleberry jam stashed away that will be perfect in these. I have a big pot of pea soup simmering gently for dinner and loads of time to make jam pillow dough before the family get home. Jam pillows – what a lovely name! I like how visual ur blog is. Thanks for all the pictures. Ps: you have that many open jam flavours? Wow! Haha….I love that your boys ate two dozen. Thanks. I needed that laugh!! I think you need to try to make a dozen or so with my Seville orange marmalade. I might have to try them after they are baked. They look so beautiful but also so easy to make. Should give it a try! Mmmm mmm, pillowy goodness. I love anything almondy so I’ll be sure to try these! Thanks Heidi. These look fabulous and I have some almond paste that needs to be used up! !